Hired Gun Weed & Pest Control has over a decade of mowing experience. We have the knowledge, equipment, and resources to handle all your property's needs. You'll discover that we take great pride in giving our customers a safe and clean environment with outstanding customer service. Field Mowing, is performed as needed throughout the season. The length, type, and density of the field grass can vary, we recommend setting up a scheduled mowing two or three times a season after the initial mowing to keep costs down and the property looking well maintained. 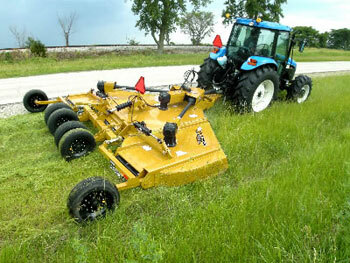 Right-of-Way Mowing, whether it's private, city, county, state or federal. Hired Gun, can help with all ROW mowing needs. 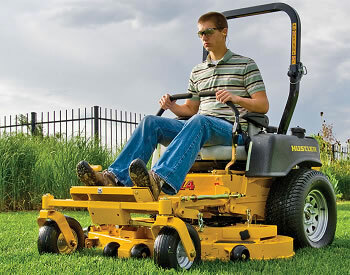 Commercial Mowing, is performed from April through the end of the growing season. On average, there are two cuttings in April, then weekly through October. Residential Mowing, we offer customized lawn mowing and maintenance services. Our precision mowing and curb edging will give your lawn a sharp, crisp appearance, blown free of debris on a weekly or biweekly schedule.